Best-selling author Karen Kingsbury weaves another dramatic story of tragedy and redemption! Mary Madison was a child of unspeakable horrors, a young woman society wanted to forget. Now a divine power has set Mary free to bring life-changing hope and love to battered and abused women living in the shadow of the nation's capital. 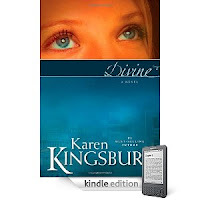 Visit Divine to download your FREE Copy! Don't miss this FREE edition JUST BECAUSE you don't own a Kindle. You can read this book on your computer or mobile device! personal computer or other mobile device. Define "limited". I went to download it and it's not free. Sorry you missed it; I shared it as soon as I became aware of it.